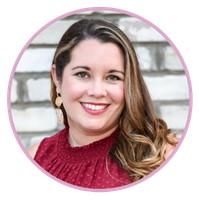 Bayly has over 8 years of experience placing families and nannies with quality childcare starting in Atlanta where she opened Your Happy Nest and now in her hometown of Charleston, SC. As a parent to her two young daughters, she understands the importance of finding trustworthy, professional and loving childcare for your children. Bayly has also worked previously as a nanny so it is important to her to support nannies professionally and advocate for fair wages, legal pay and good working conditions. She works hard to develop a positive working relationship between the family and nanny and will support both the family and the nanny to maintain that positive working relationship. Bayly currently resides in Mt. Pleasant with her husband and two daughters and in her spare time can be found enjoying the fun of Lowcountry living! She loves spending time at the beach, trying new restaurants and checking out local Charleston events. Lauren loves being part of the Your Happy Nest team helping us recruit, screen and help Bayly match make the perfect match between family and nanny! Lauren also handles all requests for local babysitters as well as special event and hotel sitters. Lauren is originally from Indiana and received her BA from Indiana University and then received her Masters in Social Sciences from the Citadel. Lauren has a passion for helping support moms and dads and is a great asset to our Your Happy Nest Charleston team! As a new mom herself who has gone through the placement process of finding a nanny, Lauren understand the quality level of care needed for parents to feel comfortable. Lauren loves spending time with her husband, toddler aged son and dog and lives in Mt. Pleasant. As a former dog trainer, Lauren also has a passion for animals. In her spare, time you will find Lauren galavanting around our beautiful city and its beaches with her family, or having a coffee date with friends.